Give it a shot... or 40. I love talking about migraines. I don't do it to be a downer; I do it because talking about dealing with my chronic migraines may lead to hearing tips from another fellow sufferer, and I've tried nearly everything at this point. I've dealt with migraines for almost two decades, and as anyone who deals with them knows, having a variety of remedies in your toolbox is crucial when the pain hits. I've typically managed my pain through a combination of medication (both to combat migraines when they hit and to prevent them from happening), home remedies, and a grin-and-bear-it attitude. However, when my migraines increased in both regularity and intensity, I began to research another option: Botox for migraines. Botox is said to by an average of 50 percent for those who suffer chronically (people who experience 15 or more headache days per month). After going through hell with my insurance to get approval, I scheduled an appointment with New York City neurologist and pain-management specialist . She was kind enough to speak with me about the wonders of Botox while we did my first procedure in June 2017. Much like other fillers, Botox is slowly metabolized in the system, so for it to remain effective, patients have to get the procedure every three months or so (however, as Ravitz told me during a recent visit, you can't get it done too frequently or your body will develop antibodies). I've now had four additional rounds of Botox since my initial procedure and have learned a lot about how my body reacts to it. Read on for both Ravitz's insight and information about my experience with five rounds of Botox. 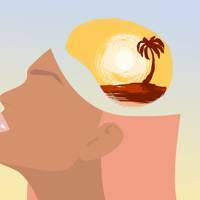 Let's talk about migraines — namely, chronic migraines. First of all, for those who aren't familiar with migraines, they're different from headaches. Headaches are unpleasant, too, but are typically less severe than migraines and don't usually present with other symptoms besides the pressure and aching in the head. Migraines, on the other hand, can be much more intense and often come with nausea, seeing spots, vomiting, extreme fatigue, sensitivity to light and sound, . alone, 4 million of whom deal with daily pain. Chronic migraines can severely inhibit daily life, and when I started to feel like my bad days were outnumbering my good, I knew I needed to find a solution. Botox had been suggested to me multiple times before by friends, family, and doctors, and though it took quite a while to get it approved by insurance and find a provider I trusted, my migraines were making it hard to live a normal life, so I decided to try it out. 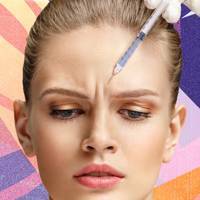 How is Botox for migraines different from cosmetic Botox? 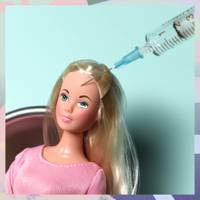 The Botox used for migraines and the Botox used for cosmetic procedures is actually exactly the same. 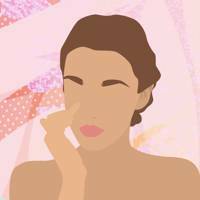 "Basically, young and middle-aged women were getting [Botox] for cosmetic purposes, and that’s the most common person that has migraines, and that’s how they figured out it was helpful," Ravitz tells me. Women were getting Botox for aesthetic reasons and happened to notice relief from their migraine symptoms, and doctors began looking into it as a direct treatment. 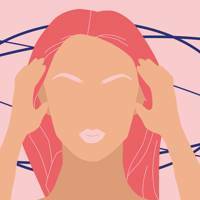 In fact, — about 85 percent of chronic-migraine sufferers are women, and the condition affects 28 million in just the U.S. The only difference between the two procedures is that with Botox for migraines, they may do a few more shots in areas where the pain is experienced. Personally, I usually get between 30 and 40 shots, concentrated mostly on the right side of my head where the pain occurs, at the base of my skull, and on my neck and shoulders, where I tend to hold tension, as doing so can cause a migraine. Botox for migraines can have the same aesthetic effect that cosmetic Botox has, which kills two birds with one stone for people who may desire that effect. "We do it along wrinkle lines and keep it symmetrical," says Ravitz, which explains the erasing of lines and temporary plumping of wrinkles. How does botox for migraines work, and how effective is it? Though there's still more research to be done on Botox for migraines and doctors aren't yet completely sure why the procedure is effective, they have some ideas. Ravitz tells me, "What [Botox] does is paralyse nerve terminals. Essentially, nerve terminals transmit pain, but they also produce pain substances while they’re doing that, and it completely paralyses that process." She says that it stops the process of pain patterning and it also relaxes the muscles. According to Ravitz, it's very effective among a large sampling of her patients and is usually very well tolerated. She says some of her patients find that it even eliminates the need for medication, which is a huge deal. However, she also says, "About 7 to 10 percent of my patients find that it’s not effective and they actually feel worse during that time." As with any medical procedure, everybody (and everyone's actual body) is different and will respond to treatment differently, and it's best to do a healthy amount of research and thoroughly talk to your doctor about your body and medical history before making a decision. I asked this question as Ravitz was putting the first needles in my face, which was probably a mistake as I get anxious easily. However, she assured me that the side effects of Botox typically don't happen at the doses prescribed for migraines, and even if the scary-sounding side effects you read about online do occur (such as one-side paralysis and eye droops), they aren't particularly dangerous and last four to six weeks. "Most commonly, people have pain because you’re dealing with a bunch of shots, and sometimes you can get a headache from the procedure," Ravitz tells Allure. "You may have heard about eye droops, but you usually don’t see that. It can happen, but we try to keep it very symmetric so that it doesn’t happen at all." Personally, I typically experience a headache after the procedure, but I attribute that mostly to tension and anxiety that comes from anticipating pain. 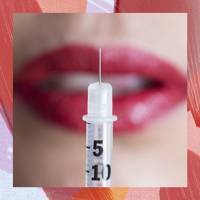 It usually goes away before the next morning, and that's the only notable side effect I've experienced in the five rounds of Botox I've had so far. After the treatment, what comes next? How long does it last? Some doctors and dermatologists recommend lying down and resting after a treatment, but Ravitz says she doesn't think there's any need for downtime unless a patient experiences pain. It can take about two weeks to work, though some patients start to feel relief from chronic migraines sooner than that. Ravitz tells me, "If it’s going to work for a patient, one round of the treatment typically lasts for around three months." Though everybody metabolizes it at a different rate, getting it done every three months or so has been found to be effective. How much does it cost, and does medical insurance cover it? It can also be expensive. Depending on your insurance, it can cost quite a lot of money — I've changed insurance providers since I first started, and my first provider was around $330 a month and charged me around $1,000 per Botox round (remember, that's four times a year). My new plan is much more expensive, around $600 a month, but the Botox copay is only $30 each time, so even if Botox is the only medical procedure I need to have done in the year, it made sense to switch. The last thing I've found to be a little frustrating is that my body tends to metabolise the Botox a bit faster than I can get it. While Ravitz tells me I can't get the treatment any more frequently than every three months, because that's the rate at which the body can develop antibodies against it, I find my migraines amping up in frequency again about two to two and a half months after I get the shots. However, given the fact that with the Botox, my migraines have gone down from about four a week to one or two at most, it's absolutely increased my quality of life, and I'm glad I gave it a shot...or 40. The verdict: Yes, I would recommend it. So far, it's been a lifesaver for me. Prior to Botox, I'd been experiencing around three or four migraines a week that would have me waving the white flag, and now I'm down to one on average (and two at most). I also find that my medication works better when I feel one coming on. That said, there are a few things I'd make sure everyone knows before trying it. For one thing, it can be pretty painful. I have a pretty high pain tolerance, but getting 30 to 40 shots every three months is pretty rough — it feels a bit like getting tattooed with a bee's stinger, but once the needle is out of your skin, the pain goes away, and if it works for you, it's worth it. It's also important to know that it can take some time to work. The first treatment barely worked at all for me, and the second round took a few weeks. If you're going to try it out, be patient.